Experience skiing in front of the Matterhorn. Get inspired by our passion as your ski instructor in Zermatt. 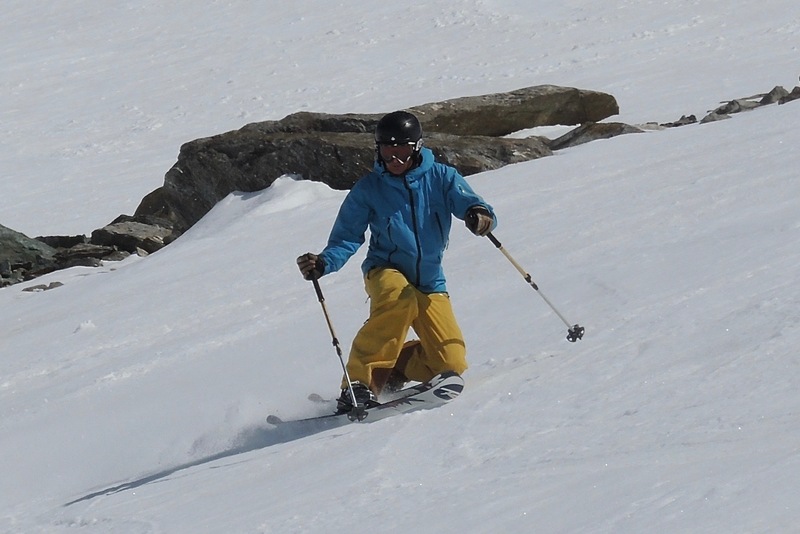 Your personalised ski lesson on beautiful slopes in Zermatt, Cervinia and Valtournenche. With Stefan's background as ski expert and trainer for future ski instructors we are up to date to teach you the newest techniques; no matter if you are a beginner or pro, enjoy carving, freeride, bumps or a gentle cruise. We offer private lessons to all ages and levels. Improve your skiing under any conditions, matched to your level, on suitable slopes and terrain. Do you want to improve your technique and enjoy unforgettable moments with your friends and family? Let us advise you with video analysis and we will create a great video from this as a souvenir. Do you like to have fun? We have found the right spot for your holiday in the Matterhorn Ski Paradise! We would love to show you the most beautiful ski runs of Zermatt and Cervinia and, the cosiest mountain huts and some of the best rated restaurants. If you have any questions about equipment we will be happy to advise you. Full day / unlimited: CHF 490.- (1-3 pers.) + CHF 40.- for any additional person. Full day / unlimited: CHF 530.- (1-3 pers.) + CHF 40.- for any additional person. Enjoy your freedom away from the ski pistes surrounded by stunning mountains with sunshine and powder snow. Is there anything better than setting first tracks on fresh snow with your friends? 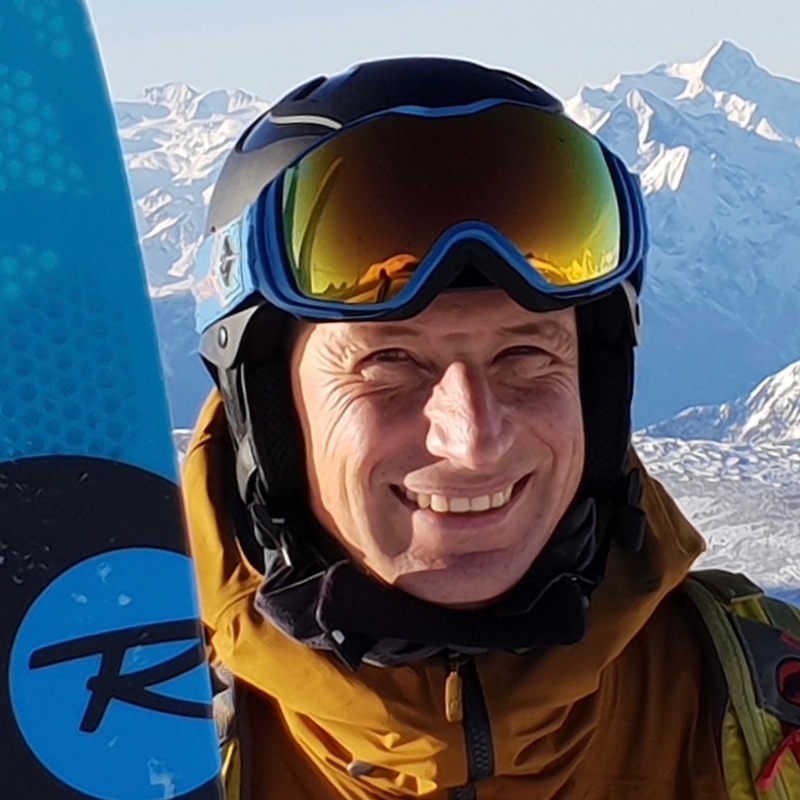 With Jörg's enthusiasm and many years of experience as a Freeride coach and participant in the Freeride Worldtour, we will show you how to adapt your technical abilities in different snow conditions and refine your technique in the terrain. As passionate Freeriders with great local knowledge of the spots in Zermatt, Cervinia and Valtournenche, we will make first tracks on hidden descents around the Matterhorn Freeride area. Safety is very important when freeride skiing. 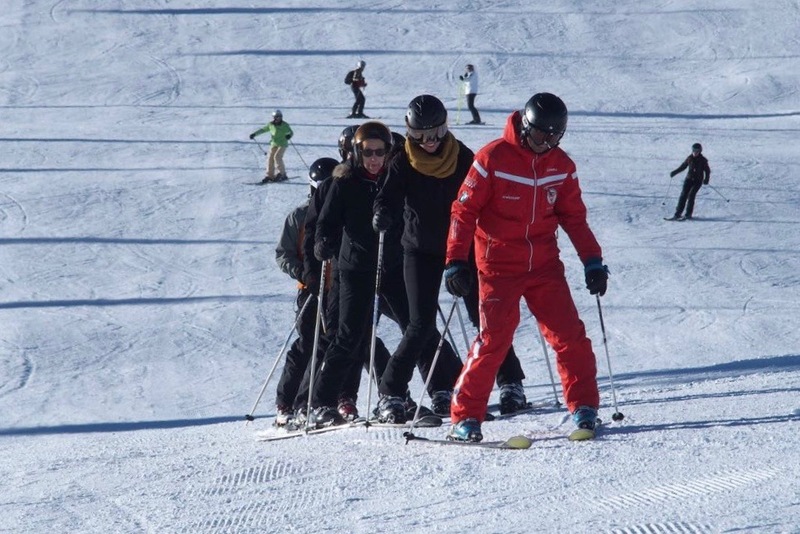 We will teach you how to become a responsible and safe off-piste skier. You will also learn how to use an avalanche searching device, probe and shovel. Are you an advanced telemarker or are you looking for a new challenge? Do you want to discover a different way of skiing? Then Telemark is the right choice for you. Discover the revival of the Telemark technique which is the original form of skiing. Telemark techniques were invented in the 18th century in Norway and has become popular amongst connoisseurs in recent decades. It has continued to develop technically without losing its elegance. The binding system with the free heel and a the special boot, you make a step change to initiate the curve, which gives you the necessary stability. The movements of this sport are subtle, the turns are gentle and the game with your balance is pure fun. As Telemarking quite strenuous as a beginner, we recommend booking a half-day lesson of 3 hours. Tip: Every year at the end of April the traditional Telemarkissimo Festival takes place in the ski resort Cervinia. Half day 3 hrs. CHF 270.- (1-3 pers.) + CHF 30.- for any additional person. Full day / unlimited CHF 490.- (1-3 pers.) + CHF 40.- for any additional person. Full day / unlimited CHF 530.- (1-3 pers.) + CHF 40.- for any additional person. Further we support you with advice for ski rental equipment, pickup service from your hotel or chalet, arrange taxi transfers and book your table in the mountain restaurants. Federal graduate Ski instructor (BBT). Since 2006 in Zermatt and other Ski resorts in Switzerland. Institut for Sport Science University Bern. Youth & Sport Canton Bern and Basel. Swiss Alpine Club SAC, Section Thun. (Freeridecamp). Member of the Acrobatics Ski Club Bern, Swisscup participant Moguls discipline. 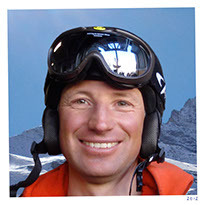 Professional ski instructor (ISTD) TU Munich. Federal graduate Snowsport Instructor (BBT). 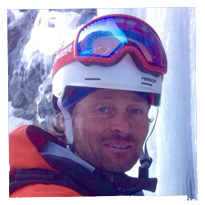 25 years of experience as a coach and ski instructor in Zermatt, Verbier and Chamonix. One winter season in Wanaka, NZ. Successful competitor in the Freeride World Tour and the World Extreme Skiing championships in Valdez, Alaska. 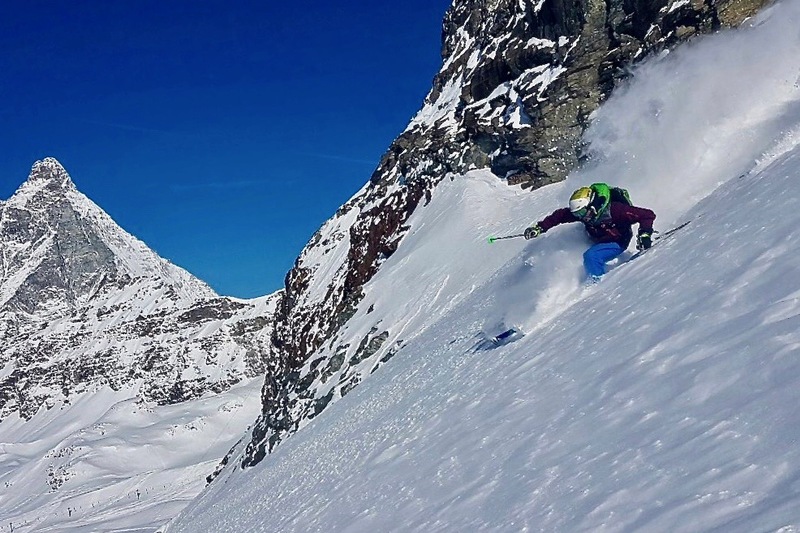 Ski descents of steep alpine faces including the Matterhorn East Face, Monte Rosa South East Face (Marinelli) and the North East Face of Lyskamm. Several ski touring and Freeride trips to destinations like Alaska, Georgia, Iceland, Japan and Chile. Ski Model for big photography productions including Sport Scheck (GER) and Ellis Brigham (UK). Many cover shots and publications in international ski magazines such as Powder Magazine (US), Fall Line (UK) and Ski Magazin (GER). German, English, French and Italian. We would love to show you the amazing ski area with all it’s highlights and secret spots. Zermatt offers breathtaking scenery, spectacular descents, endless ski slopes and untouched hills. 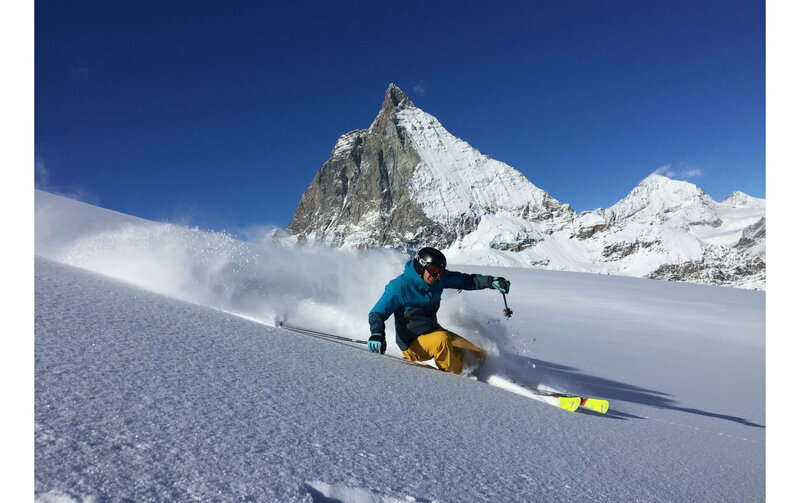 Situated between 1’620m and 3’883m, Zermatt is the highest ski area in the Alps and provides around 360km’s of groomed pistes of all levels of difficulty and diversity with challenging opportunities for every skier. The ski area of five parts which are all connected: Rothorn / Sunnegga, Gornergrat, Matterhorn glacier paradise on the Swiss side and Cervinia / Valtournenche in Italy. Zermatt has much to offer. What is your style? Where to go? Après-Ski, a tour through the old part of Zermatt, shopping, spa, a visit to the interesting Zermatt Atlantis Museum, a movie evening in the Vernissage cinema designed by local artist Heinz Julen, live music or a relaxing dinner in one of highly rated restaurants in town. 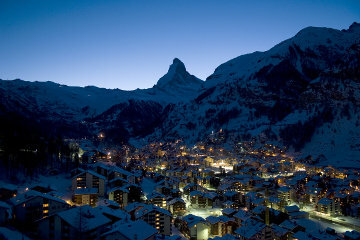 We are happy to assist you with recommendations or information about Zermatt's diverse choices. The Sunnegga-Rothorn area is the sunniest of all parts of the ski area in Zermatt. In just 4 minutes you arrive via Sunnegga-Express at the ski area. On Sunnegga there is a beginner‘s park called Wollipark. There is also a blue (easy) slope to Findeln which is famous for having numerous mountain huts and gourmet restaurants. From the Blauherd station above Sunnagga you can ski on a diverse range of pistes; for example, the legendary and spectacular black run „Nationale“ which will challenge any experienced skier with steep sections, terrain transitions, compressions and rollers. At the top elevation of the Sunnegga side, a wide selection of runs begin from Rothorn and go in all directions. The Rothorn area, with it’s ungroomed trails „Chamois“ and „Marmotte“is a freeriders playground. To get to Gornergrat you have a fun train ride which is approximately 30 minutes. The train starts in Zermatt at the train station. You can also catch the gondola via Furri and the Riffelberg Express. Starting from Gornergrat you can ski towards Gant / Hohtäli or Riffelberg / Furri. From the station called Gant there is a big gondola which takes you up about 1’000m of altitude to Hohtäli where you can enjoy a spectacular view of the Monte Rosa massif and the surrounding 4’000m high mountains. There is another gondola towards the Rote-Nase-Stockhorn area. Two T-Bars are here. One is the Triftji, where once the legendary Triftji Bump Bash took place, and the other one takes you to the Stockhorn. Depending on snow conditions you will find bump lines here which are so long that you can hardly ski them without a stop or when there is fresh powder snow it is the perfect Freeride area. Starting from the station Hohtäli, this area offers Freeriders numerous variations and long descents so you can have fun all day long. Towards Riffelberg where there is a chair lift called Gifthittli. Here you will find slopes for beginners, gentle cruising or carving. Next to the blue / easy slope „Gornergrat-Variante“ is the Igloo-Village where you can stay overnight or just have a drink. For mougul fans there is a yearly event called Mougul-Mayhem which is located just above the Igloo-Village. Whoever wants to learn how to ski off-piste, the perfect terrain can be found here. Starting at the bottom station of the Gifthittli chair lift, there is a valley run from Riffelberg towards Furri from where you can get to the Klein Matterhorn area. Klein Matterhorn and the Schwarzsee area With the Matterhorn Express through Schwarzsee you get to Trockener Steg. From Trockener Steg a big gondola takes you to the the highest point 3’883m in the ski area the Klein Matterhorn. The breathtaking view ranges from the Italian to the French and Swiss Alps. Carving fans and whoever loves wide slopes will love the Matterhorn Paradise. The snow conditions are always practically like fresh powder. The Snowpark Zermatt is accessible from the Furggsattel chair lift starting from Trockener Steg. Here is where Freestylers meet. There is a wide range of different jumps, rails and boxes amongst a Skicross suitable for any skier. In the Schwarzsee area you will find the least frequented ski pistes. Directly under the Matterhorn is the Hirli chairlift where you can enjoy a stunning view on your ride up. This is also a hotspot for Freeriders. There are patrolled off piste slopes (yellow) Momatt, Tiefbach and Aroleid through open terrain to begin with and lead into trees as you ski down. The Southern flair of the Matterhorn shows in the cucina italiana e buon cafè. Pista del Ventina Starting from the Klein Matterhorn we will ski towards Testa Griga and to the 3’500m high Plateau Rosà. The view from here goes from the Piemontese mountains with it’s Monte Viso past the Gran Paradiso in the Val d’Aosta towards the Mont Blanc massif in France until to the Matterhorn which seems almost touchable with it’s 4’478m of altitude from here at Plateau Rosà. The Piste del Ventina starts at Testa Griga when you take the left junction. 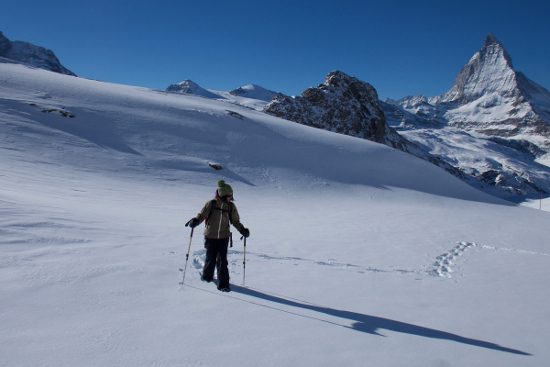 This piste is one of the most beautiful, changing and longest descents in the Cervinia ski area which is on 2’000m. Colle del Theodulo The ski area Cervinia can also be reached from Plateau Rosa through the Theodul pass which used to be an important way for traders from Valtournenche who did business with the Swiss. The traders traversed exactly where the ski slope goes through nowadays to get to important villages in the Valais. The upper part with three chairlifts, Plan Maison, Fornet and Bonatadini offers easy blue and red ski pistes which are great for carving and gentle cruising. Pancheron - city of stones Not far going down towards the valley from the middle station Plan Maison, there is a chair lift called Pancheron which is just underneath Furgg ridge. The variety of ski pistes at the 2’950m high top station is full of technical difficult slopes and interesting descents which are all close to the South side of the Matterhorn and go through the beautiful city of stones and rocks. Valtournenche lies on just 1’524m and is the lowest point in the whole ski area. Starting from Klein Matterhorn the longest descent leads to the village of Valtournenche. It is 20km long and descents 2’300m of altitude. After the first steep part of the Piste del Ventina there is an intersection where you go left towards Colle inferiore di Cime Bianche at Bec Carrè into the valley towards Valtournenche. In this valley there are steady and relatively quiet pistes. At the Colle there is the top station of the chair lift Bec Carrè. The terrain towards La Motta and same named and recommendable restaurant offers nice red / intermediate slopes. Is the route from Klein Matterhorn until the village too long ? Then have a break in a Ristorante and enjoy a cup of delicious Italian coffee. As a variation you can take a left at Colle onto piste Numero 1. Both main routes meet at the middle station Salette. In the top part of Numero 1 there are some super spots for Freeriders or any skier who wants to do a bit of off-piste skiing. The valley run leads from Salette in a rapid, direct way down. Just before you get right to the bottom, there is a beautiful restaurant with a big, sunny terrace called Foyer des Guides. © 2015 Concept. All rights reserved.